It works great so far, and I'm using 2 Noctua NF-F12 fans instead of the inculded ones on the radiator. It's silent, and keeps my temperature below 20C at idle, and have yet to break 40C while gaming. Great cooler for the price. amazing cooler for $90. You can not go wrong with this cooler. 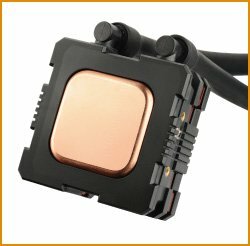 Underrated cpu cooler. Love hot it looks and performs just as great. I didnt want to get the typical corsair liquid cooler so I went with this regardless of the fact that not many people own it but I dont regret it at all. Love everything about it. Very effective cooler and cheaper than most 240mm radiators. Keeps my oc'ed 6700k at around 24 degrees when idle and 62 degrees when I was doing 3DMark Firestrike. 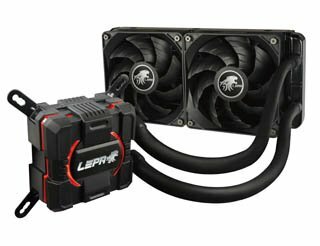 It's usually on the low 50's when I play GTA V. The radiator fins are very fragile so be careful when handling it and the red led on the pump/block cannot be changed so this cooler might be an option for those who want a red/balck theme only or someone who just doesn't care about hot rodding their pc. Awesome cooler for the price. 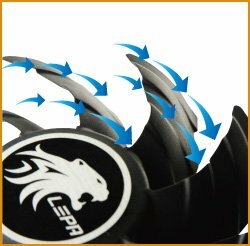 The included fans has excellent airflow and static pressure but are a bit on the loud side at higher rpm. 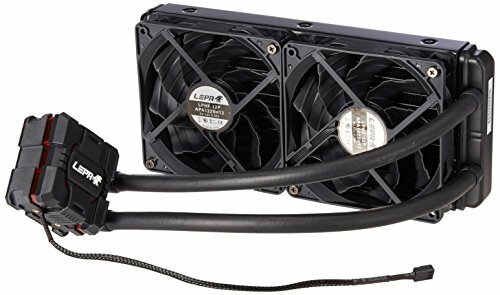 Highly recommend this cooler if you want a 240mm aio without breaking the bank, especially when it's on sale! 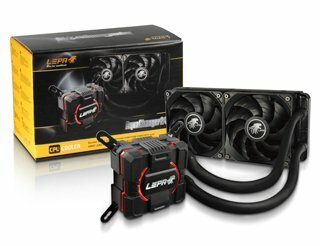 Great cooler for the price and does exactly what it's supposed to with no loud pump noise or issues what so ever.